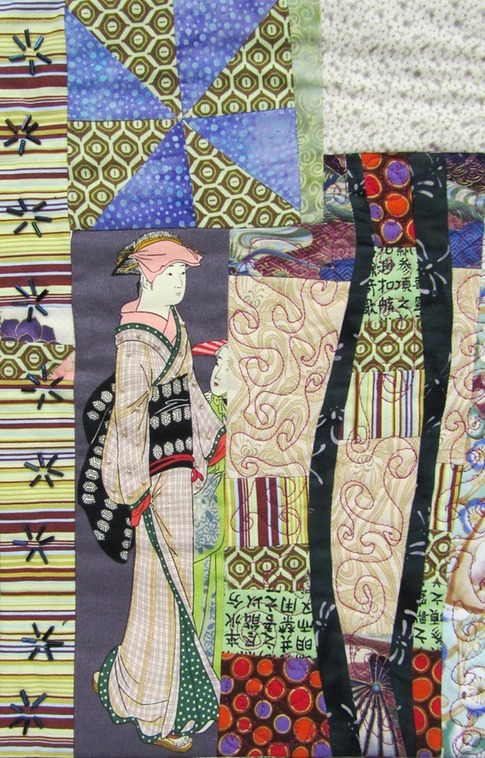 Artist Statement: I enjoy creating art quilts, dolls and accessories. I work with fabric intuitively, using color, dye, mix media, found object and recycled materials plus my own photography, to create art quilts and more. Whether representational, experimental, or improvisational, my work reflects my need to overcome perfectionism. So, it is not perfect. It is not meant to be and that is part of my journey.